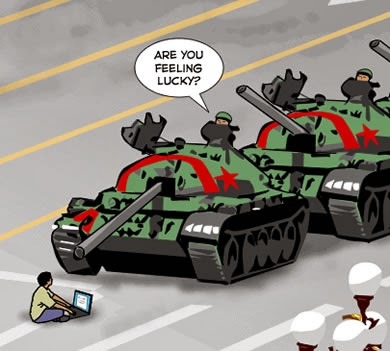 Chinese Internet Censorship: What’s the Story? China is one of the most restricted countries in the world in terms of the media sources they are allowed to access. The Government has put in place a number of legislations, which prevent the population of China from having access to the things that we take for granted. There are high and severe levels of censorship across the country and although the Internet is the biggest cause for concern for Government officials, they have also censored things such as television, print media, films and even text messaging. Technology manufacturers must adhere to the strict guidelines that the Chinese Government has put in place. For example, China does not have a certificate rating on its films; instead each film is monitored to ensure there are no negative mentions of the country and nothing, which can incite riots and strong opinions in the population. Everything from the film industry to DVD replication services such as discmakers.co.uk need to be aware of the strict rules and the implications neglecting them can have. China is the most controlled country in the world and its citizens are faced with harsh consequences if they dare to break any of the legislations. The Internet is the real bone of contention and officials block website content and claim to monitor the usage of individuals. The country has the largest number of convictions brought against journalists in the world with record numbers serving prison sentences for participating in the release of what is deemed to be unacceptable content. It is claimed that there are 2 million Internet police to constantly monitor the usage and the kinds of websites that are available to the public. The official reason behind the increased censorship is to neutralise online criticisms ad negativity especially after an anti-Japanese, anti-pollution, anti-corruption and ethnic riots became commonplace in the country, all of which were organised and incited through platforms on the Internet. It is claimed that the population needs to be protected from illegal and harmful information. All Internet traffic goes through main servers such as ChinaNet for example and the country encourages self-censorship by informing the public they are being closely watched. In 1998 the project was established and is a constructed communication network and computer information system for police to improve their capability and efficiency when monitoring online usage. The main premise of the project is to compile a gigantic online database of internet use records as a way of highlighting those that use it improperly and to enable restrictions to be tightened further. Within the project it states that all devices shipped to the country by international manufacturers must come equipped with approved software, which is in fact China’s own. The Chinese government are currently keen to block IP addresses, filter content and establish redirections to prevent access whilst monitoring and filtering URL’s. There are very few ways for the public to access the content that the Government do not want them to see. It is not just the Internet that the Chinese Government are holding back from its people. The above is the list of areas that are monitored and scrutinised by officials to ensure no inappropriate content reaches the public. Social media is possibly just as restricted as the Internet and is thought to be the perfect platform to make negative remarks about China and incite anger and hatred so it is simply disallowed. China has the largest population of people in the world and it is quite remarkable how the Government have been able to not only restrict billions of people but also the Internet that is readily accessible through so many ways to so many people and one area that is thought to be impossible to repress. The future of Internet usage and the Chinese people looks bleak as it is thought that restrictions will continue to tighten and eventually people will have little or no access to the Internet.